I’d never run in a costume. Now I have. 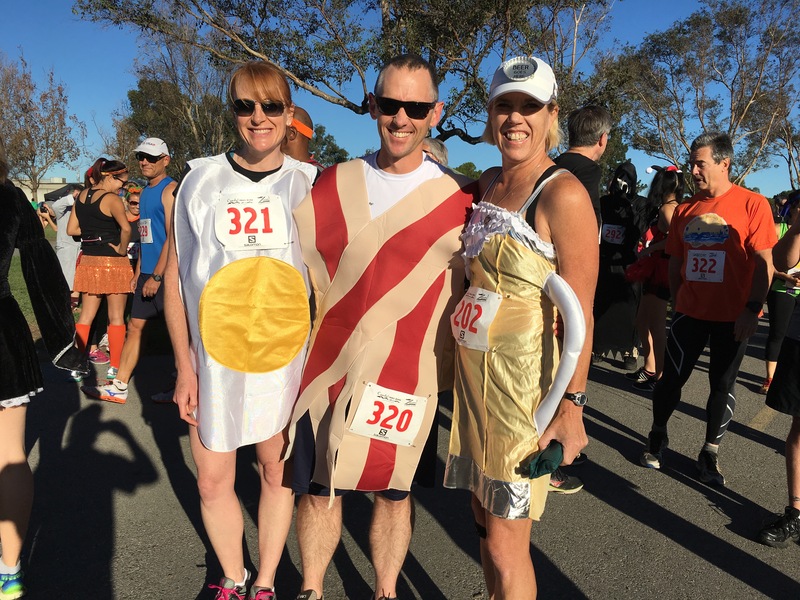 We got in the spirit of Halloween on Halloween morning, and cranked out a 5 mile race as race 41 on our way to 52 races this year. As you know, we’re raising awareness for the GBS/CIDP Foundation and trying very hard to raise funds for folks in need. You can be part of our team by heading over here. Race 41 was the ZombieRunner 5 mile race in Campbell to Vasona Lake and back. I’ve run these trails hundreds of times, it’s one of the places I always go for a quiet training run and to listen to a few tunes while I run. I’ve also raced these trails more than a few times, from every different direction and from a variety of starting and finishing places. The race was well organized, well attended, and had a fun Halloween vibe. Power to the people who wore costumes — and a gentle boo to those who took it too seriously on a festive day. I’m saying that since I think we were the first finishers dressed in costume. At least, we were definitely the first food over the finish line. And there was a lot of food — people dressed as beer, tacos, and much more. Just one more race until we’re at 42 races for the year, and then we can count down from 10 to our goal of 52!